College costs go beyond tuition. Books, housing, meals and other expenses contribute to the extraordinary cost of higher education. The transition from living at home to full-time campus life represents a significant financial shift for college students and their parents. Pre-planning sets the stage for university education, but not every student has a college fund to draw from. For most college students, financial aid is an essential part of getting an education. As college looms on the horizon, consider three primary sources of funding: Scholarships, grants and loans. Scholarships are usually earned through performance and achievement. For those who excel in high-school, academic and athletic success is rewarded with money for college. Scholarship money does not require repayment, so accomplished students should tap every resource available. Combination scholarships require students to stand out from their peers in more than one way. Exceptional athletes who also do well in school are rewarded on both fronts, as scholar-athletes. Student-citizens who actively participate in community affairs receive scholarships that acknowledge their efforts. Other traits like ethnic heritage, gender and financial need are used to determine eligibility for some special scholarships. Grants, like scholarships, provide financial aid for college that does not require repayment. Typically, qualifying for grant money is based on your level of financial need. Federal grants, from Pell and other programs, offset college costs for the neediest applicants. States, corporations, universities and other advocacy groups provide education grants. Like federal grants, some require only that candidates exhibit some level of financial hardship paying for college. Other grants provide aid for specific sets of individuals, like minorities and other under-represented student groups. Scholarships and grants are coveted aid resources for university students, because they generate college cash that does not require repayment. Any ‘gift aid’ is ideal, but when free money doesn’t cover college costs, students use loans to make up the difference. Student loans originate from government agencies and private sources. Loans require repayment, so low-interest federally subsidized options provide attractive financing for students. 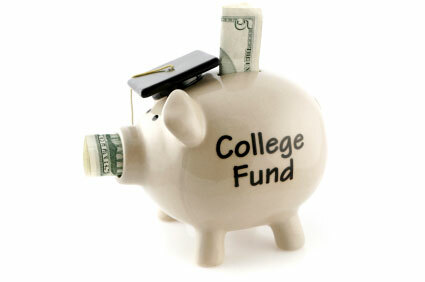 Your best approach to harnessing the education loans you need is to apply for federal financial aid. First things first: Apply for financial aid by completing the Free Application for Federal Student Aid (FAFSA). The Department of Education has the deepest pockets for providing financial aid, so your first step is to ask for it. Your FAFSA provides the government with information about your family, including income and size. The number of your siblings who are also attending college, as well as your parents’ income level are used to estimate the amount of money your family can realistically provide for college. Your Estimated Family Contribution (EFC) is the cornerstone of your individual Student Aid Report; the document used by universities to determine your financial aid eligibility. When your college makes a formal student aid offer, it is usually a financing package that blends various forms of assistance, including grants and loans. in the past, the most common government loans were called Stafford Loans, but they are now referred to as Federal Direct Student Loans. Stafford loans were guaranteed by the government, but issued by private lenders. Today’s Direct Loans are administered without private banks and credit unions. Subsidized Direct Loans – Students demonstrating financial need are eligible for low-interest loans, which are subsidized by the Department of Education. Interest rates currently stand at 3.4%. Students are not responsible for interest payments during school, during a 6-month grace period following graduation, and during periods of loan deferment. Unsubsidized Direct Loans – Financial need is not an eligibility requirement for this type of loan. The interest rate is higher, at 6.8%, but still well below commercial lending rates. Students are responsible for interest payment during the lifetime of this loan, including during enrollment and grace periods. PLUS Loans – Parents of dependent students are eligible for loans to help pay for school. PLUS rates are 7.9%, providing a low-interest borrowing alternative for parents. Interest is always the responsibility of each PLUS loan recipient. Direct Consolidation Loans – Students can bundle existing loan debt into a single direct loan. Repayment terms are adjusted to accommodate students ability to pay, and a single payment is applied to total outstanding debt each term. Perkins recipients enjoy low interest rates, around 5%, and may borrow up to $5,500 annually for undergraduate studies. Important Change to Subsidized Direct Loan Repayment Terms - Direct subsidized loans issued after July 1, 2012 are not eligible for a federal interest subsidy during the 6-month grace period following graduation. Loan recipients must pay interest during this period. Unpaid amounts will be added to loan principle. States issue education loans too, so consult with your school’s financial aid office for information about state-specific programs and current lending rates. You’ll find student loan opportunities in the private sector too, but securing them requires more than a timely-filed FAFSA. For-profit lenders will not loan money based simply on your pledge to repay it-regardless of your financial need. Formal credit checks thwart many college students’ efforts to raise money for school. Limited credit interactions, and lack of collateral are not attractive features among potential borrowers. Banks want to see a long history of credit success before they hand over cash for college. If you are unsure where you stand credit-wise, request a copy of your report. Even if you’ve made timely car payments, and manage your mobile phone account without problems, your credit track record is not long enough to make you a safe bet for conventional lenders. Private college loans are not outside your grasp, but you will need a loan cosigner to get the job done. Partnering with a friend or relative bolsters your credit-worthiness, because lenders factor in your cosigners history of successful and diverse credit relationships. Private loans carry higher interest rates than Federal Direct Loans, but paying them back on-time helps establish your own credit-rating following graduation. If your repayment schedule does not reflect your ability to pay, consider bundling your outstanding college debt into a single consolidation loan. Federal consolidation and private consolidation options protect you and your cosigners from adverse credit entries. Consolidate proactively, because once you’ve defaulted on your student loans, getting back on-track is more difficult. Manage your student loan accounts responsibly, and use on-time payments to establish your credit. Student loan interest payments are deductible on your tax return, so use your education expenses to offset your income tax. Deduct student loan interest as you would mortgage interest payments, and always discuss your personal tax strategies with a financial adviser. Of course, your student loan interest rate ultimately impacts the tax advantages associated with your loan payoff. The best-laid college plans sometime come up short of funds. Emergency financial aid programs are not widely advertised, but help is available during college cash crisis. To access the money you need for college, work the financial aid system from the top down. File your FAFSA on-time and tap government resources for college loans. Stepping outside the Department of Education for college loans requires credit-checks and cosigners, but banks and credit unions provide valuable funding when you need it most.